Jeff joined Watsi on April 7th, 2013. 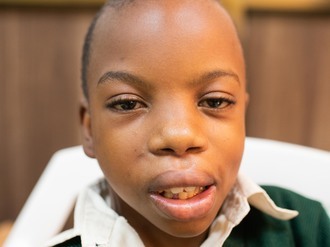 Four years ago, Jeff became the 563rd member to automatically support a new Watsi patient every month. Since then, 4,543 more people have become monthly donors! Jeff's most recent donation traveled 9,000 miles to support Dorica, a woman from Malawi, to fund gynecological surgery. Jeff has funded healthcare for 55 patients in 11 countries. Vantha is a young rice farmer from Cambodia. He is married. He likes to play games on his phone and watch TV when he is not working. Four years ago, Vantha had an ear infection. This infection caused a cholesteatoma, or an abnormal skin growth, to develop in the middle ear behind the ear drum. For this reason, Vantha experiences tinitus and ear discharge. It is difficult for him to hear. Vantha traveled to our medical partner's care center to receive treatment. On September 4, he will undergo a mastoidectomy procedure in his left ear. During this procedure, ENT surgeons will remove the cholesteatoma. Our medical partner, Children's Surgical Centre, is requesting $842 to fund this procedure. This covers medications, supplies, and inpatient care. His wife says, "I hope my husband's surgery goes well and he can hear well again." Nyew is a 47-year-old woman from Burma. She lives with her husband and her two sons in Noh Poe village, Myawaddy Township, Karen State. Nyew looks after her house and children at home, and her husband works as a farmer. In her free times, she loves to go out with friends to collect vegetables in the forest. Nyew has pain and tightness in her upper abdomen. When she is in pain, Nyew is not able to sleep or eat well. Nyew has been advised to undergo a biliary obstruction repair, a procedure to repair the blockage of the bile ducts, which carry bile from the liver to the gallbladder. If left untreated, Nyew's symptoms will continue to worsen and put her at risk for further health complications in the future. 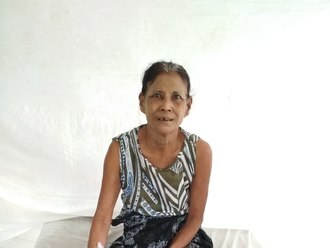 After seeking treatment through our medical partner, Burma Children Medical Fund (BCMF), Nyew is scheduled to undergo her biliary obstruction repair on July 31. BCMF is requesting $1,500 to cover the total cost of Nyew's procedure and care. 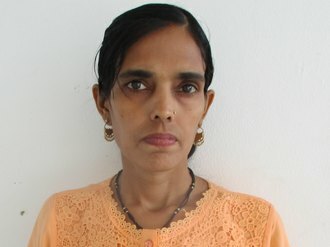 Nyew says, “Now, I am very happy to hear that I am going to have surgery and I will no longer be in pain after surgery. I plan to return home, take care of my house, and meet with my friends to collect vegetables in the forest after I recover." Ezekiel is a boy from Kenya. He is the second born in a family family of six children. 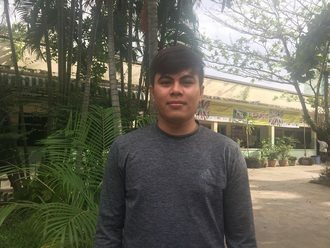 Ezekiel's mother is a small-scale farmer and a single parent. Ezekiel has clubfoot of both feet. Clubfoot is a condition in which the foot is twisted out of shape. This causes difficulty walking and even wearing shoes. Fortunately, Ezekiel traveled to visit our medical partner's care center, AIC Cure International Hospital. There, surgeons will perform clubfoot repair surgery on August 6. Our medical partner, African Mission Healthcare Foundation, is requesting $1,224 to fund Ezekiel's clubfoot repair. After treatment, he will be able to walk easily. “My desire is to see my son walking. I am kindly requesting for help," says his mother. Princess is a baby from Kenya. She is the youngest in a family of seven children. The family lives in a two-roomed rental house in Western Kenya. Princess has been diagnosed with hydrocephalus, a condition in which excess cerebrospinal fluid accumulates in the brain and increases intracranial pressure. As a result of her condition, Princess has been experiencing an increasing head circumference and irritability. Without treatment, Princess will experience severe physical and developmental delays. 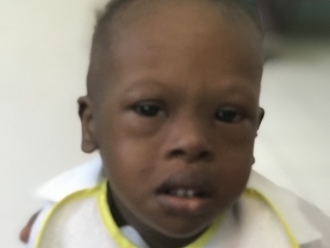 Our medical partner, African Mission Healthcare Foundation, is requesting $685 to cover the cost of surgery for Princess that will treat her hydrocephalus. The procedure is scheduled to take place on May 30 and will drain the excess fluid from Princess's brain. This will reduce intracranial pressure and greatly improve her quality of life. With proper treatment, Princess will hopefully develop into a strong, healthy young girl. Suom is a vegetable farmer from Cambodia. She is married and has a daughter. She likes to cook, watch TV programs, and listen to the radio. 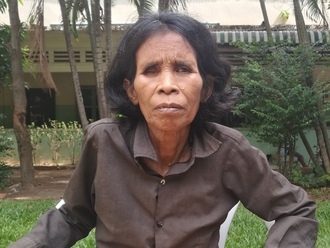 In January 2018, Suom fell down and fractured her left leg. It causes her chronic pain and she cannot walk. Fortunately, surgeons at our medical partner, Children's Surgical Centre, can help. On April 30, Suom will undergo a fracture repair procedure, which will cost $430. This procedure will help her walk easily again. She says, "I hope after the surgery is over, I can walk without pain again."